Hamsters can be decent pets for children, as long as they are tamed and trained properly. 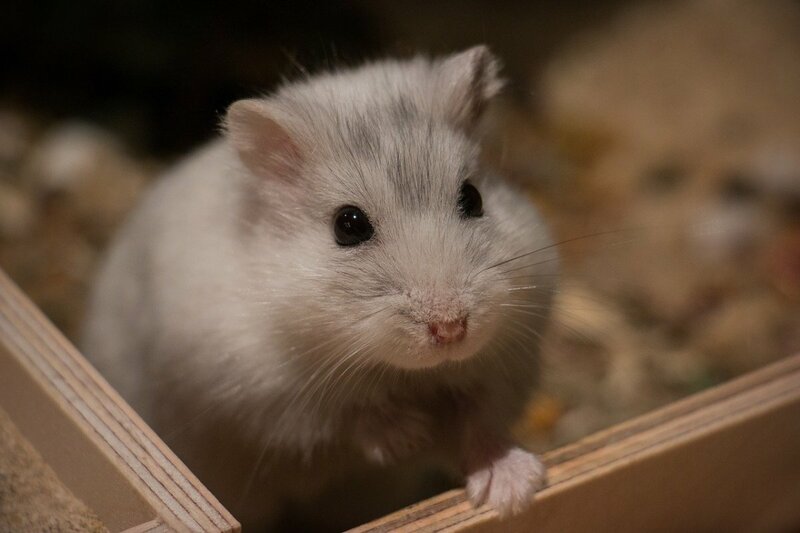 They may initially bite, but with patience and time, it is possible to turn a new, fearful hamster into a very loving pet. It's easier to train a hamster when he is young. Sort of like people; it's easier to train a child to clean up his mess, than starting out training an adult. So, when training your hamster to accept you, you want to start young. 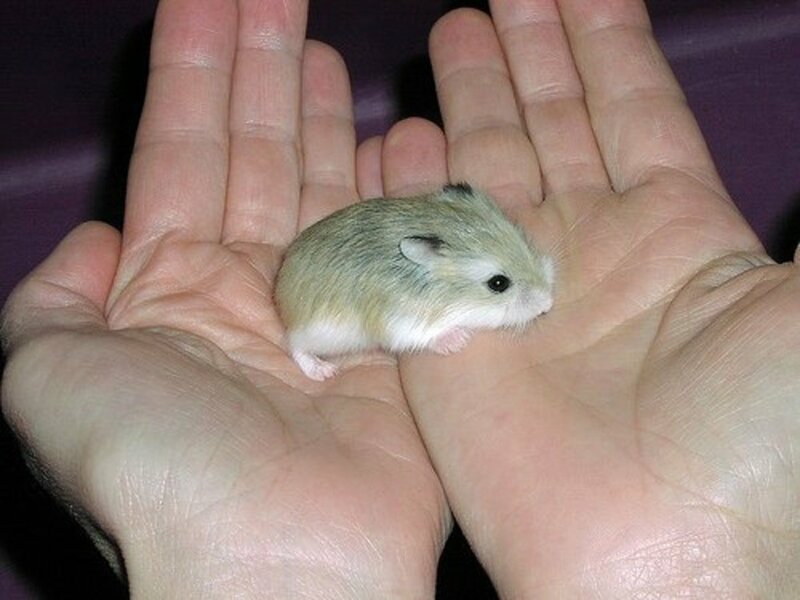 An older hamster may not be as accepting of being held as a younger hamster. 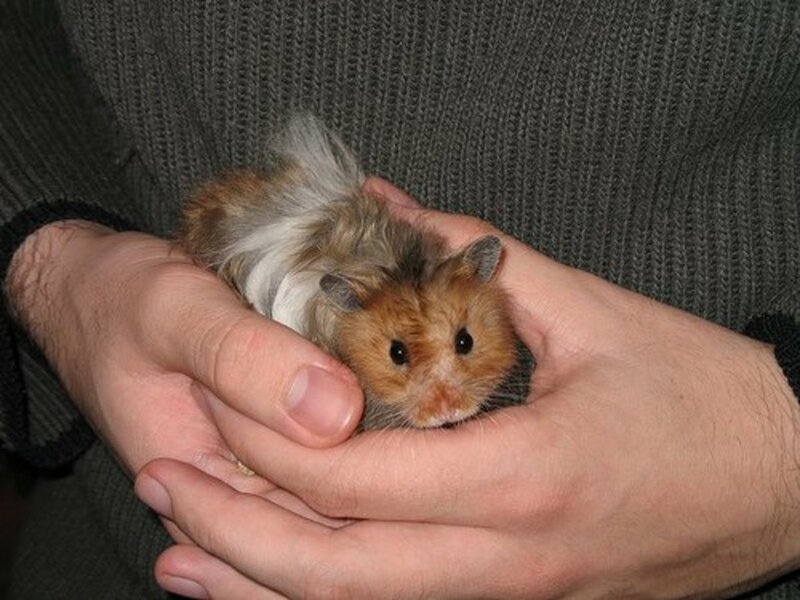 Hamsters that aren't used to being held will become more solitary, and often won't learn how to accept your touch. This is not to say that an older hamster can't ever be handled; it may just take much longer to train him to be social than it would for a younger hamster. It will take time to train your hamster to like you. Don't get frustrated, and keep at it. If you've picked out your hamster, and you've got him all set up, leave him alone. It's very stressful moving to a new environment with new people, smells, and accessories. 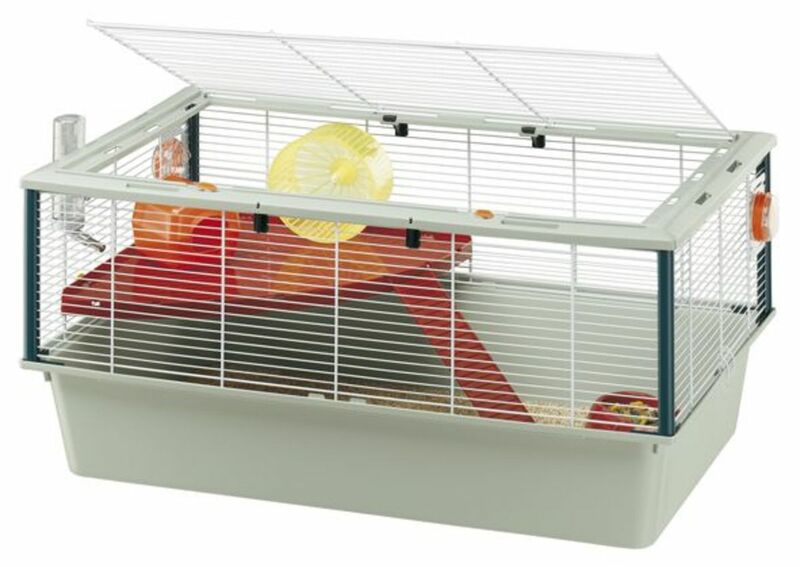 When you bring your hamster home, you are stressing him out by changing his diet, enclosure, and overall environment. So don't add any additional challenges; let him alone so he can adjust. Stress can make him sick. Wet-tail is a very common illness that can be fatal if it's not noticed and treated early enough. It is caused by stress, which upsets the balance of bacteria in the intestinal tract, causing diarrhea and dehydration. So make the car ride home quiet and peaceful: no loud music, no poking fingers, and no getting the hamster out of the box. Leave him alone for at least three days. Don't stick your hands or fingers in the cage or through the bars unless you're changing food or water. Don't make loud noises around the cage, move the cage, shake it, or have everyone in the house or the neighborhood come over to stand at the cage and watch. 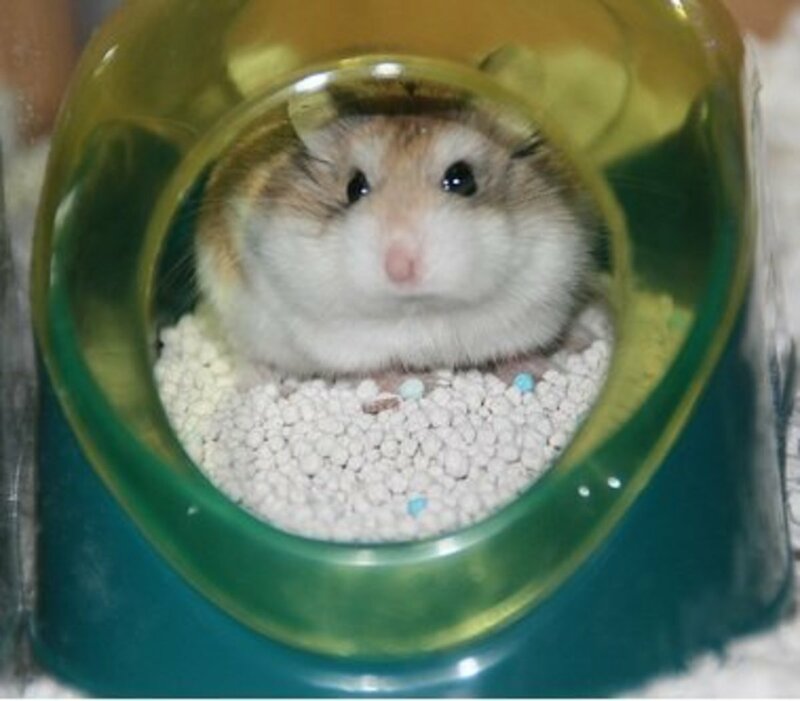 Your hamster will start to get to know you from your smell and your voice in those few days. First and probably most important tip: Let sleeping hamsters lie. You do not ever want to disturb your hamster while he's sleeping. He may become stressed which can stir up illnesses and health problems. Plus, a grouchy hamster is more likely a hamster who will bite. Once you understand to just let your hamster sleep, handling can be a cinch. Just remember to be patient. It may take time. Start out by holding your hamster when he's awake, and more towards the evening time. Even if your hamster is walking around during the day, it's just not the best time to hold him, as he's probably still half- asleep. If you try to hold your hamster and he starts to growl, squeak, grind his teeth, or show his incisors, leave him alone! If the hamster is eating, stretching, grooming, or just hanging out, give it a try then. Once timing is right, take things in stages. You can't rush the hamster into liking you. You have to build his trust and confidence. Let the hamster check out your hand. Smell and hearing are the hamster's two strongest senses. Let him sniff your hand and fingers. You may want to wash your hands beforehand, as if you smell like food your hamster may try to nip you. Let the hamster come to you. Never chase after the hamster. If you chase him, he'll remember that and it'll make taming him that much harder. Once your hamster has gotten used to your smell, you can try offering a small bit of a treat. This will entice the hamster to come closer to your hand. Put the treat in your palm, and hold out your hand palm up. The hamster will have to climb onto your hand to get the treat. Let him do this a few times until he's used to jumping into your hand. 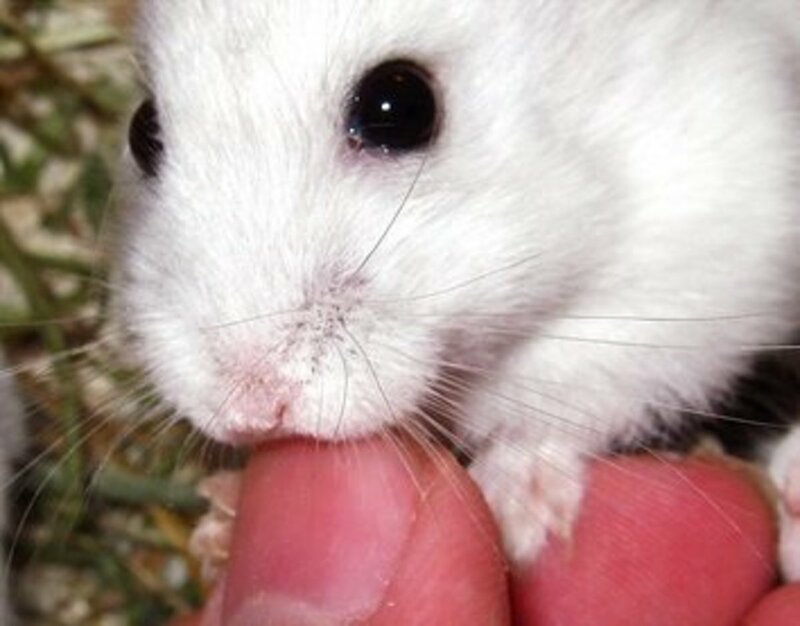 If the hamster starts to eat the treat in your hand, you can try to gently pet the hamster with your other hand. More than likely, the hamster will be so busy with the treat, he won't notice you're petting him. Once the hamster is comfortable with you, you can try cupping your hands around him, once he's in your palm, and carefully removing him from the cage. He may urinate on your hands the first few times, but it's from fear. He'll eventually relax and get used to you. Also, remember that hamsters have poor eyesight, so try to stay low when you are with him. You don't want your hamster to try to run away from you and end up falling onto the floor from a bed or chair. Try sitting on the floor. Some people recommend sitting in the bathtub. 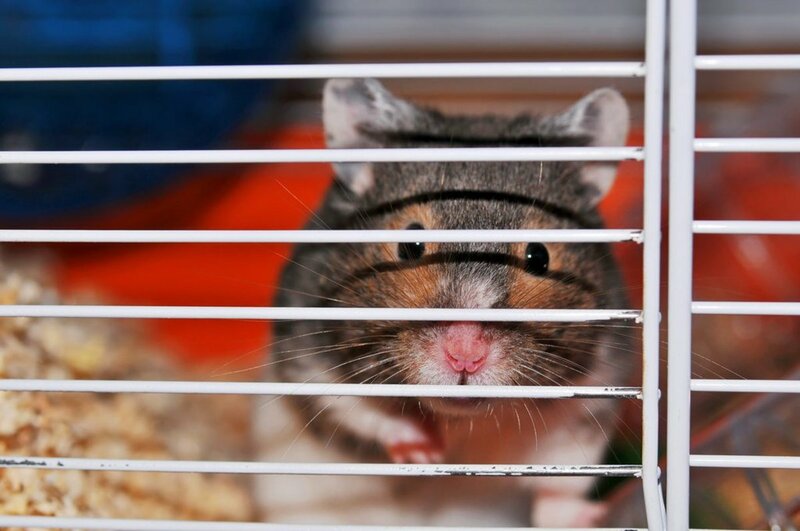 It will take time to acclimate your hamster to letting you hold him and play with him. Just be patient. Never chase him around his cage. Always let the hamster come to you. I put the treat in my hand, but he just looks at it and walks away. What do I do if I handle my hamsters too early and they just are in their hiding spot all day and they never come out? If your hamster won’t come out then what would you do? So if your hamster is very mean to you then you hand feed him/her hand feed. Also, let your hamster rest so don’t wake your hamster and hold it. Okay so my hamsters are very sweet and one I got almost a year and her name is Juliet and then, I got one from pet I two days ago and it is a fire fly hamster and he guy said the manager said it’s is and it said it was dwarf so I got it for 11.99 and I named him Odis or Odie and odison when he does something wrong. And now I am doing lots to have him be nice so good luck with yours! 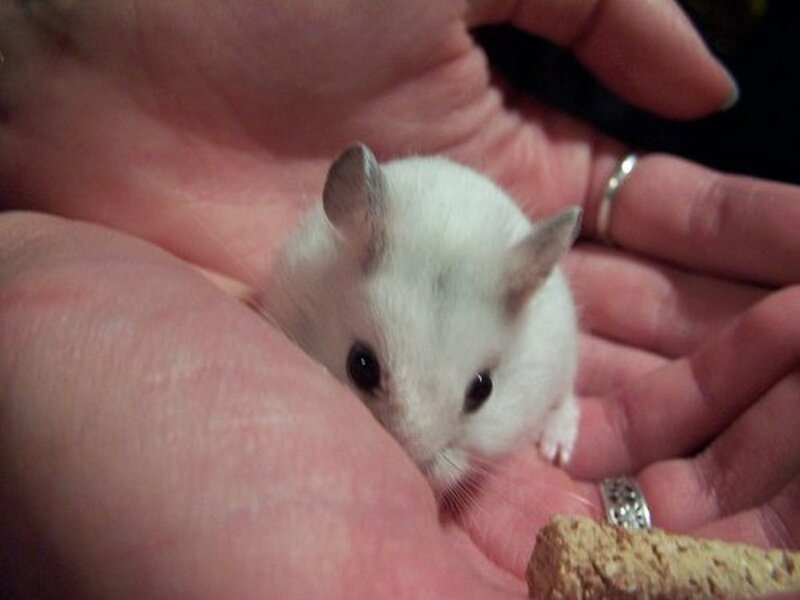 i am a new owner of a Russian dwarf hamster, well this is technically my second... when i got my first one i got overwhelmed with excitement i couldn't wait to hold him but when i did he jumped. i caught him but it was too late he froze and died a few minutes later. while i was in tears my mother went and got me a new one but now im petrified to hold him in fear it may happen again but im scared that because of this it will effect him in entertainment and he will be bored or he won't be as connected to me. can anyone help? I have a two month old male robo hammy called Dorrit. She is adorable, but the training process certainly is sloooooow!! I’m getting to hamsters from Petland today. I hope it goes well! I don't know why but all pets love me. I have a robo dwarf hamster and shes super skiddy and super fast and will not let me pick her up. I have had her for about a month. I need to clean her cage what do I do? I had my hamster for about a little less than a year now. My hamster is so hard to train! I try to put a treat in the middle of my hand, and he doesn't go on my hand. He only takes treats that are at the front of my hand. I'm starting to think that he doesn't know where the treats are, because he puts his front paws/hands to grab treats on my hand. Plz help! hello i have had my hamster for about 11 months and he still doesnt let me hold him. he is very aggressive and bites everything he sees including my hand. i dont know what do to. he also likes biting people, i dont know whether its because we feed him through the railing or something but when i put my hand in he just runs to me and tries holding my hand to bite me. hep. Cookie is my robo dwarf hamster he is trained as far as I know but sometimes when I handle him he squeaks or all of a sudden he starts to bite at one point it even got as bad as the result of me bleeding. Does the aggression and squeaking of my hamster mean anything? 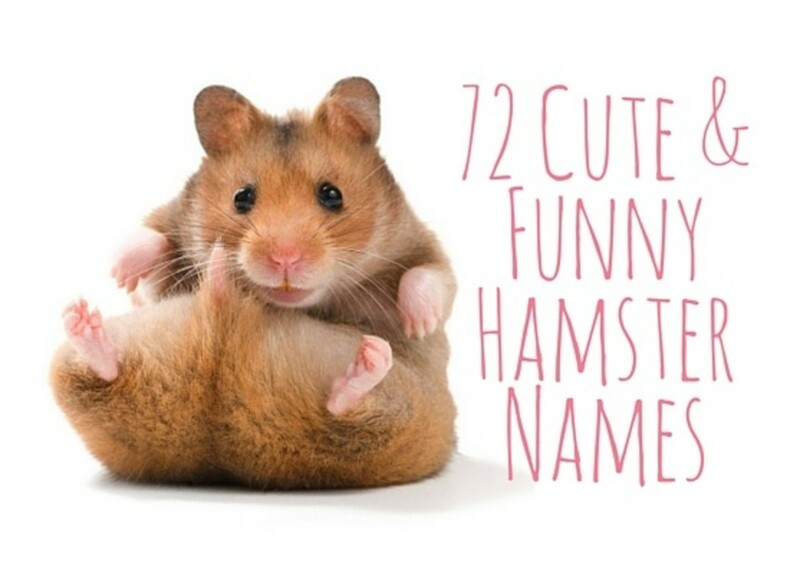 I would like to add Sniffles and Scamp to the Hamster Male names. I have a male hamster that is about nine moths old that is living with me almost all his life and I just got a new baby also a male hamster that is 4 weeks old. I am wondering if its possible them to live in the same cage? YESS!! This is great! 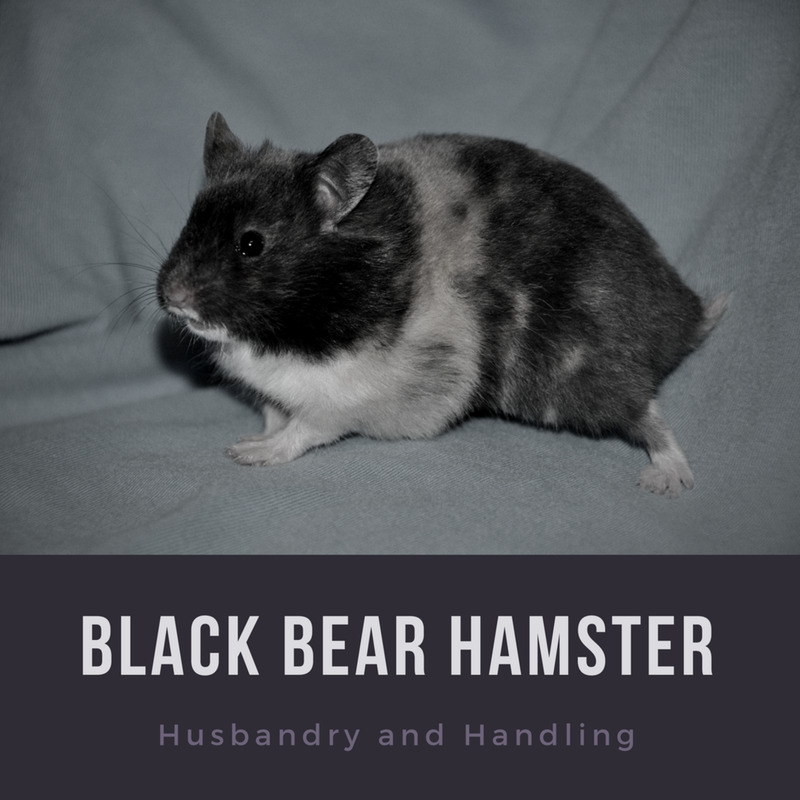 I think this is a SUPER important topic especially for ALL new hammy owners! I got my dwarf hamster on the 24th may 2018. Every time I go to pick her up she runs way or nipps me . I cant even transfer her to somewhere else as I cant pick her up what do I do. I feel like she doesn't like me . This is a nice way. I Got my hamster 5 days ago and this helped an awful lot! If your hamster is a Bitey hamster then I recommend using a sock if your really scared use a couple socks this is what I did and now I hold my hamster whenever I want to. I just got my robo dwarf hamster 4 days ago but she keeps trying to escape and scratch the glass (I have her in a tank). What do I do? I have had my hamster for a month and he has never peed outside of his cage. The past 4 days I have been trying to hold him with cupped hands so he will relax and fall asleep, but all 4 days he has peed on me which he never did before. Is something wrong? I got my hamster 4 days ago, and its is a dwarf. It tries to bite me when I put him in his ball. I've tried to hold him before but he'll either run away or bite me. What are some good ways to train him mot to bite? And how old is too old to train him? Hello my is Alecia Carr I have a 4 mouth old hamster is it to early to train him to do stuff? He is loving his home but when can I take I find out? My friends hamster was good to her .It will climb on her and kiss her .But mine did not.When I put on my hand ,It will smell my hand and run away . I tried this many times ,but It does not work. I tried to carry it too but nothing improvement. What should I do . Hope I will get some help. I did it but it DID NOT WORK! My hamster is always hiding. What do I do? If the hamster bites you, blow on it. Negative reinforcement, like training any animal. It takes some time, but they learn not to bite. My hamster came home a little while back. I can touch him sometimes but he does turn around and try to bite me. I started wearing gloves to help me but he just grabs the glove and bites it. I can only give treats through the bars of the cage but when I place my hand flat with treats on them, my hamster bites my fingers so I let go of the treats, then takes them. I really don't know what to do. The pet store guy told me he was 3 months old. Is that too old? Also, when I used a cup to transport my hamster onto the ground, he started biting my legs and hands. Any advice???? I tried to leave my hamster alone for a few days like this post said, and I did. I still can't pick her up yet and it's been 7-9 days. Also, my best friend has Robo Dwarf Hamsters and has had them for almost 6 MONTHS and still can't pick her's up. To the person with the roborvoski dwarf hamster, is your name Amelia? I just got a cute baby Roborvoski dwarf hamster and her name is snowflake. But the problem is that my brother sneaks in my room and abused my baby Roborvoski dwarf hamster and she’s not drinking water after that event. What should I do? Hi, I tried this but it didn’t work. When I placed a piece of food in my hand, the hamster bit my hand because it thought that my hand was the food! How do I fix this? HELP!!!!! My hamster is biting my nails and it hurts really bad!!!!!!!!!! Helpful! I just got my Syrian hamster today, and he is a sweetheart. As i was told, pine and cedar bedding are not safe, ad pine has dangerous flakes and cedar is heavily scented. I was also told they don't grow much and you should not switch their diet to seeds, as they will never go back to their old diet. The lady said that the little circle pellets are best for them, and timothy hay is good once or twice a month. Is this true? Thanks!!! Almost everytime i stroke her, she bites me. Im gonna trie and handle her next week (wich is the second week at my home). Do you think it will work? I dont want her to bite me. I have a robo dwarf hamster. I have had him for about a year, and I just read this. I have been doing it all wrong. Will I still be able to tame him? I just got a hamster today and I was all up in his cage I even tried to pet him. I know that I wasn't supposed to though, but it's just sooo hard to not try to hold/pet him. How can you not bother him for 3 whole days and should I not pet him till Tuesday (it's Saturday) what can I do to help I feel so guilty and sorry. Ps his name is Cheeks and he seemed pretty comfortable with me at the pet store. I have a Syrian short haired hamster and he has red eyes. I have had him for 5 days and he got settled in but he doesn't let me hold him. It feels IMPOSSIBLE to hold him. I need help. I started to hold my hamster early. And now he does not trust me. Is it too late? What do i do? I was holding our hamster Randy, that we have had for a few months now (so he is fully tame). He is used to allot of human contact, well my boyfriend gently touched him on his back. He jumped, hit my chest, and fell into my hands. We thought he was fine, but he froze and would not move for a strait 30 seconds. Should we be worried? I got a new hamster yesterday. What do I do with him? Hi I have a dwarf hamster and it is about a month now that I have him. He doesn't like to held at all and keeps on running through my fingers when I try to hold it. He also hoards all of his food and I don't know if he is eating. He really enjoys Peanutbutter which I give him a small bit of everyday. Does anyone have tips on how I can tame him. I just got my hamster today and I'm having a sleepover with my cousins tomorrow I was wondering if I could take it can you please answer me? I have a hamster and a year ago I had 2, one was a girl and the other one was a boy (mine I still have) and the petstore lady told us they were both girls, and long story short they had babies and all the babies died and I gave away the girl because she became "depressed" she would sit under the water thing all day and she would be very mean when I tried to hold her so I gave her a chance to start over ig, to my friend. Now j just have mine, he's ALWAYS trying to escape around my room and won't let me hold him he'll just jump off my hand (not a far jump at all) but he's always naming at the bar on the door of his cage. And I read an article that said that means he want to get out or want something like food or water. So I take him out because usually he has food and water and every time I buy him a toy or treat he won't play with it all he does is eat sleep and sometimes run on his wheel. Before all that happened with my other hamster and him, he used to be playful and happy. But now I think he just grew depressed over months I had just him. Any tips or advice to get him the way he used to be? I just got my hamster Buiscuit today and I didn't know to leave it alone and she got really nippy so I got a really bad bite. Does any one know what I should do to calm her down? I got a robo hamster a week ago I've been trying to hold him but he won't let is that normal? Do they get bigger ? My two hamsters were brought home 4 days ago. I took all precautions and gave them their space. Today I tried feeding them a treat. Instead of being interested in the treat they went right to my hand. I had washed them beforehand but my hamsters both nipped at it and one even attempted to draw blood before I instinctively shook it away. They show no signs of being uneasy or scared around us they just simply enjoy biting? Any tips would be great thanks! Hi , I've had my hammy since he was 5 weeks old. We've done everything by the book when it came to taming; leaving him alone in the new cage for a few days, rubbing tissue with our scent and placing it in his cage, treats, reducing hidey holes, bath tub method , etc. he won't come to us. He he runs away and doesn't go anywhere in his ball, just sits in it. He has now been with us 2 months which makes him about 15 weeks old Any advice? my hamster is eating and drinking fine but she won't let me pet her and when she does she will for a few mins then bites me btw I've had her for a week is this normal and if not help!!!?? i just got my 2 hamster! .... but it keeps wrigling in my hands like it wants to bite me or jump out of my hands. My hampster keeps on jumping out of my hands! Thank you for these tips because this is my first pet and i would like him to like me too. So thank you very very much. To get my daughters hamster to come to me, I only fed him fresh vegetables by hand. Since he would rather eat them than his store bought food, he climbs into my hand willingly now, regardless if I have food or not. At first I would feed him through the door, by hand but eventually he started to pop his head up when he was hungry for more! Now, I open my palm by the cage door and call him and he eventually climbs out into my hand on his own. However, he gets anxious after a few minutes or once he realizes where he is so I try to keep his cage in his line of site so he doesn't get nervous and run away. I assume this is because their "cages" are their homes and it's probably where they feel most comfortable. I'm beginning to get the impression that hamsters know that they have it pretty good in their cages compare to what they would in the wild, although that is just my opinion. When I have a treat in my hand my hamster does not go on to it. How do I get him to? I have just bought my 3rd Syrian hamster. When handling you must make sure you don't hurt the hamster and you shouldn't chase him but if you don't move your hands (slowly) towards him, he will realise that if he doesn't come to you he will not be picked up so he if is eating or playing or even sleeping he won't come anywhere near you. You have to go to him but if you haven't caught him/her wishing 1-2mins leave him/her alone (if you pester them they will bite). When you handle your hamster scoop him from the underneath by making a cup shape with your hands: hamsters do not like being picked up without warning always make sure they have seen you. If you're hamster jumps out of your hands don't chase it but say no or bad and possibly if they keep doing this take away a treat the next day. They are intelligent animals if they know they can get away with not being held, they will! When you wake up your hamster wait until he is fully awake (his ears will prick up) if they are sleepy you may surprise them so they will be more likely to bite. I just got a hamster not long ago but when I try to pick him up, he bites. How do I stop my hamster from biting me? Every time I pick up my hamster he gets scared and tries to get out and then I have to quickly put him back in the cage. My hamster never stays still when I take him m out of his cage how do I make him stay still ? When I try putting my hand in his cage with the treat, he doesn't go for the treat; he goes to my finger and bites it until I leave. How do I prevent this? Is there any other way to tame him? I've had him for over a week now, and he's still a little shy. He sleeps way too much, but he's not sick. I know he's nocturnal, but he sleeps when I wake up, have breakfast, go to school, come home, etc. He sleeps about over 3/4 of the day. This is a lot to ask, but the first part is more urgent. He is a couple months old. Please, can you help? I have a robo dwarf hamster. When I go to hold my hamster he runs away and when I try to feed him carrots he also runs! I feel really bad because he almost never gets out of his cage and when I put him into his ball it's always a struggle to get him out. 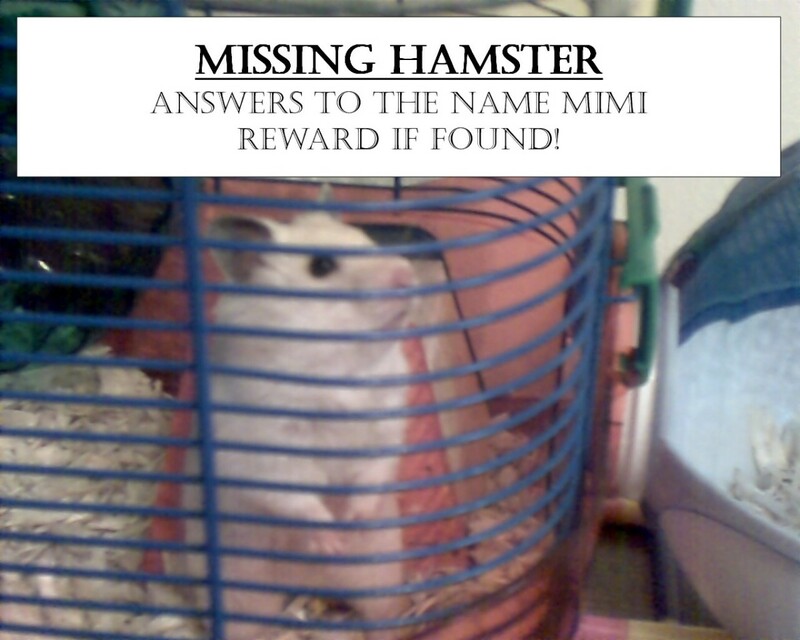 Sometimes when I am trying to get my hamster out he will get loose and it is very hard and scary to catch him. I really want to play with him more.....can you help?